FabLab Iroko is a shared workshop, equipped with manual, electronic tools and digital machines to make or learn how to make your objects and to prototype your ideas / projects. A community of makers who meet to exchange, help each other, prototyping and creating together solutions that help make our cities autonomous and connected (Smart city). It is a shared workshop where you can create / prototyping your projects with the machines (3D printer, * CNC, * Laser cutting, * Digital embroidery machine ) and tools (router, sander, jigsaw, circular saw, drill …). They also have a coworking space, a 3D printing area and an Electronic hacking, a coffee in the patio, and a kitchen for when you have a little hunger. Their aim is to promote frugal innovation, promote DIY (Do It Yourself) and the sharing of craftsmanship, design and digital. Their goals, activities and projects are ambitious and comes in different formats that can stimulate the creative mind of a human being. CO-DESIGN: Encourage the sharing of know-how and stimulate frugal innovation in a (shared) workshop where artisans, designers, entrepreneurs and all those interested in prototyping and making objects by combining artisanal methods with the new methods of digital manufacturing. LEARN AND DISCOVER: Through manufacturing workshops and experimentation (STEAM), foster the development of intelligence, creativity and imagination of children and young people. All this in a process of democratization of new technologies and appropriation of the philosophy of DIY (Do It Yourself) by the younger generation. DESIGN FOR IMPACT: We are a laboratory open to citizens to enable them to appropriate new technologies and especially methods of design thinking (co-creation process) to think and invent open source solutions that meet the needs of the population and are faithful to its uses by using locally available materials at your fingertips. They organize weekly workshops for children and adults. 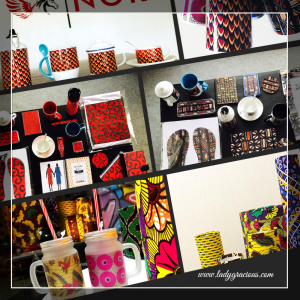 The workshops are led by experts and invited artisans and designers to share their know-how. Each participant learns to use the tools and machines to create an object himself that he proudly brings home. Whether you are a craftsman, architect, designer, engineer, you can book the workshop (to use our tools and machines to make your custom objects. Are you an entrepreneur? You have an idea / project that you will like to prototype, contact them! They give advise and assistance in the design and manufacturing process. Every month, they organize hacking and discovery workshops for everyone. Iroko Fablab offers an immersion of your teams in the world of makers to discover and understand the methods of design and digital manufacturing. They organize custom DIY workshops and 3D object manufacturing for your teams. Kids Lab: Creative leisure workshops for children around the themes Science, Technology, Robotics, Art. Food Lab: Make FabLab’s CAFÉ a place for open-source culinary experimentation. Developing small concepts around this vision. Smart city: Their maker-space is part of the global movement of fablabs that aims to experiment with local solutions that will help make our cities autonomous and connected. 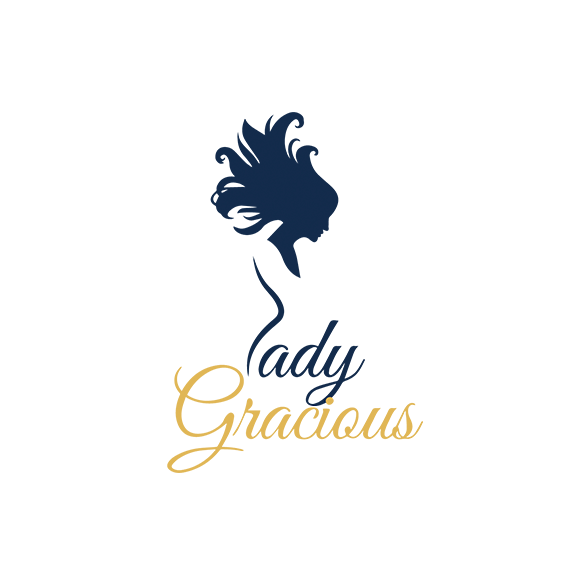 Developing with the actors of the city (citizens, municipality, NGOs, makers …) projects around themes such as: Mobility, urban planning, agriculture, environment, renewable energy, circular economy. The opening of the FabLab was marked by an afterwork where makers were invited to present their creations and to exchange with the hacking enthusiasts and the curious-minds which came to discover the place. Habib Mémé, Architect, founder of L’Atelier des Griots: A Living Lab experimenting a community project by combining social design and vernacular architecture. Gregory Thoto founder of (Keoubougou Pi): demo of the mBot and presentation of its use in the education of schoolchildren in northern Benin as part of his project Keoubougou Pi. Ima Yobi, Artist: Expo of a radio made with recovered electronic radio components and boxes of Nescafe. Demo Jerry DIT, a computer created with electronic components recovered and installed in a recycled can. 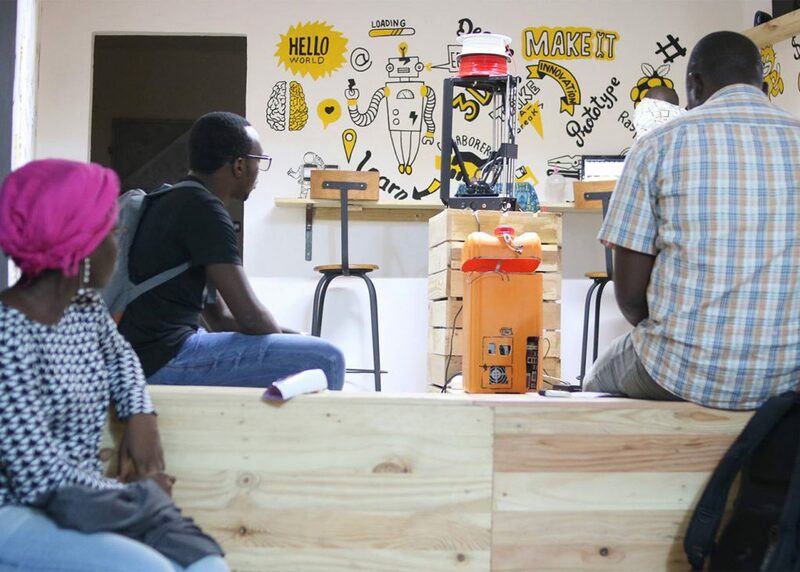 The Jerry presented was realized during the event #MakeAfrica , which gathered all the FabLabs of West Africa in Cotonou, organized by Blolab Cotonou . Demo of the 3D printer, by Ousia Assiongbon Foli-baby Maker and Founder of EcoTech lab, a makerspace from Togo. 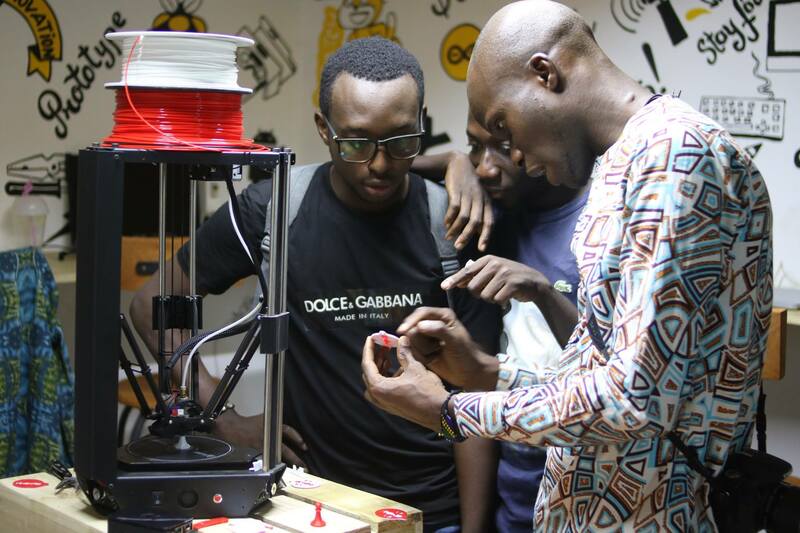 Fablab Iroko is located in Cotonou (Benin), in a friendly and cozy environment.